The Jetsons and Flintstones are getting back together again--or at least their theme songs are. The soundtracks of the two classic Hanna-Barbera cartoons are featured in a new ad seeking to raise awareness of electric vehicles. 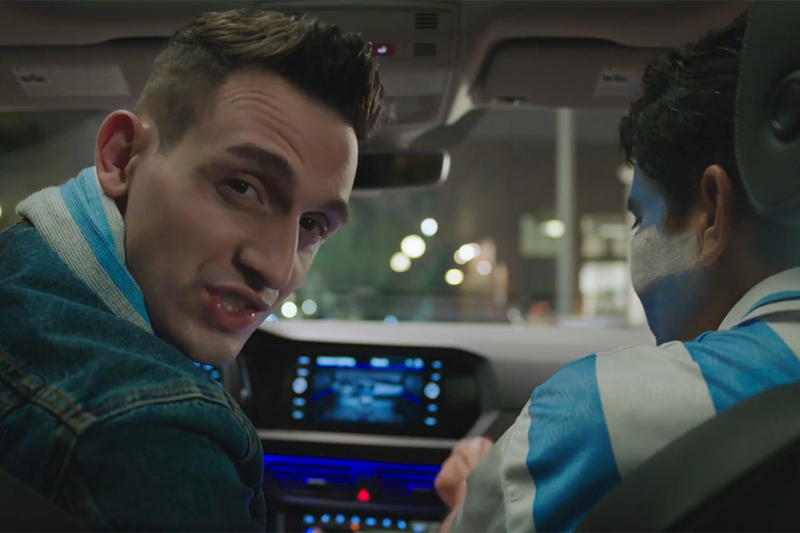 The spot, by Deutsch, is part of the first national campaign by Electrify America, a wholly owned subsidiary of Volkswagen Group of America. The group, created in 2016, is overseeing a 10-year, $2 billion investment on zero emissions vehicle technology and awareness. 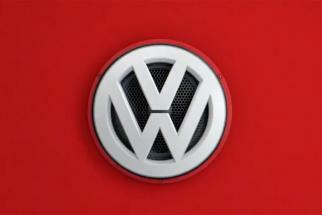 The investment was mandated as part of the automaker's legal settlement with government regulators in the wake of VW's diesel scandal in which it admitted to installing devices on cars to cheat on emissions tests. The terms of the agreement call for brand-neutral public outreach and education for zero-emissions vehicles, which today only represent a tiny fraction of the U.S. automotive market. So-called ZEV's include battery-electric and hydrogen-powered fuel cell vehicles. 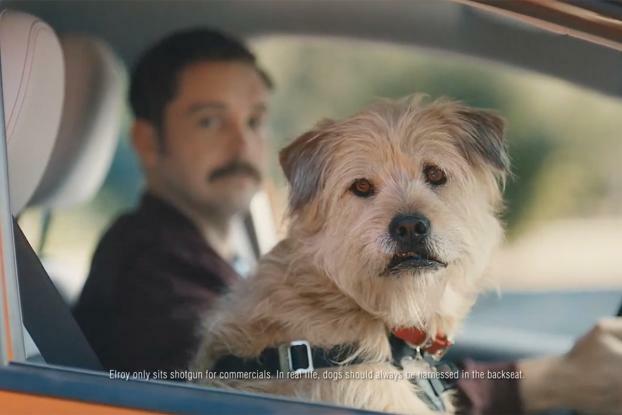 The first ad portrays an environmentally conscious man driving a gas-powered car. Cue the Flintstones music, which suggests he is behind the times. Then, as the Jetsons song comes on, his alter ego pulls up in an electric car, prompting jealousy from his backwards-thinking self. The spot ends by showing a range of currently available electric cars speeding down the highway. Hanna-Barbera aficionados will remember the two cartoon families uniting back in 1987 in a made-for-TV movie. Guto Araki, executive creative director at Deutsch, says the cartoon crossover was not the inspiration for the ad. In fact, Araki, who was born in 1981, doesn't even remember it. Rather, the agency juxtaposed the cartoons set in the stone-age and future as a way to subtly suggest that if you are not driving an electric car, you are living in the past. Or as Araki says, "Get with the times, pal." "If you look at electric car commercials they are so heavy-handed and make you guilty about the environment or choices you make or make you feel uncool," he says. "We like this because it is very personable and lighthearted." The ad drives viewers to a website by Electrify America called plugintothepresent.com, which essentially is a hub for information about electric cars. It includes a link to an external site in which people can search for government-backed incentives available to electric vehicle buyers, like tax credits. There is also a link to a map where people can search for their closest charging stations and another site where people can comparison shop among electric and gas-electric hybrid vehicles. Plug-in electric cars accounted for only 1.2 percent of U.S. sales in 2017, according to IHS Market data cited by Automotive News. And industry forecasts project that electric cars won't exceed 5 percent of the market until 2022, Auto News notes. Still, automakers in recent months have announced aggressive investment plans for electric vehicles. For instance, Ford Motor Co. in January said it would invest $11 billion by 2002 and introduce 40 electrified vehicles globally within that period, including hybrids. Electrify America's spending began with a 30-month $500 million cycle that ends in June 2019. The group's plans include installing electric vehicle charging stations. In April it announced a deal to put stations at more than 100 Walmart stores spanning 34 states by June 2019. The $500 million includes a $45 million carve-out for the brand neutral awareness campaign, which includes media, agency and production costs. 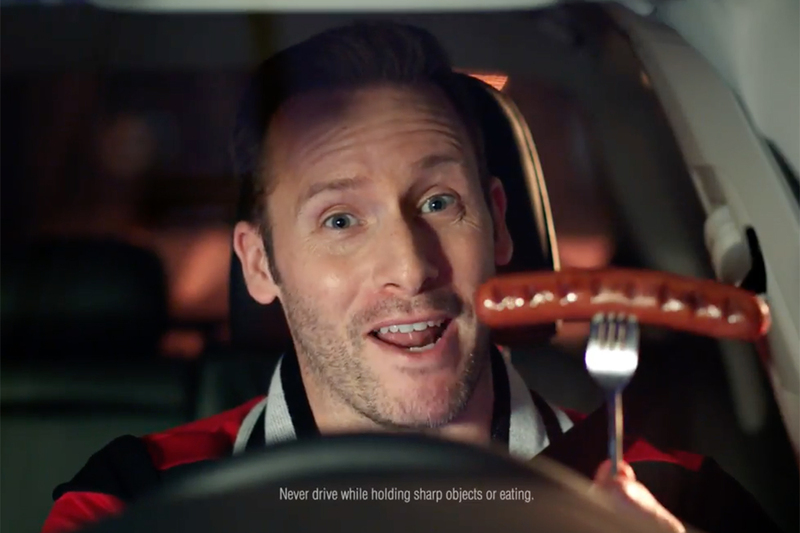 Deutsch, which is VW's agency-of-record, won the assignment without a review. But Electrify America did not rule out running competitive pitches in the future. Ads will run on TV, radio and digital. "We are going heavy prime-time. It's a full-scale launch plan," says Rich Steinberg, Electrify America's senior director for green cities, marketing and communications. But measuring the return-of-investment for a brand-neutral campaign comes with challenges. Electrify America avoids mentioning car brands by name or even its own organization's name. "We struggled quite a bit with how do we measure our success," Steinberg says. "We normally would measure a TV campaign or the launch of a vehicle with how many cars you are selling or how many prospects you've generated." Instead, the group will gauge its effectiveness by tracking traffic to plugintothepresent.com. It is also using an outside company to track general awareness about the availability of electric cars, which stands at 41 percent nationally and 48 percent for Californians, according to Electrify America. While no automakers' names appear in the ad, the Chevy logo is noticeable in the opening scene as its electric Bolt pulls up to the traffic light. 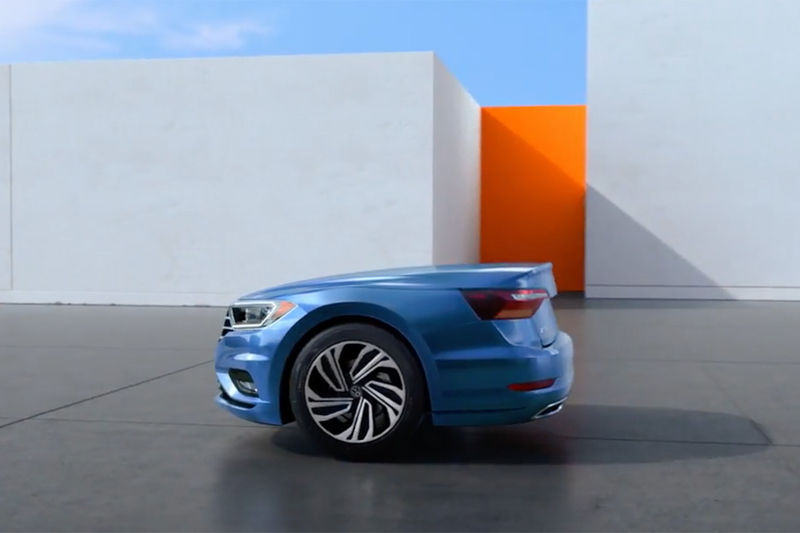 Less noticeable are the brands in the final scene, which include the Honda Clarity, the Nissan Leaf, the BMW i3, the Hyundai Ioniq and VW's e-Golf. Steinberg says the group asked automakers to use their cars, and "these were all [brands] that were more than happy and eager and anxious to participate in the ad." Other models will be featured in future ads. None of the brands helped pay for the campaign, he says.